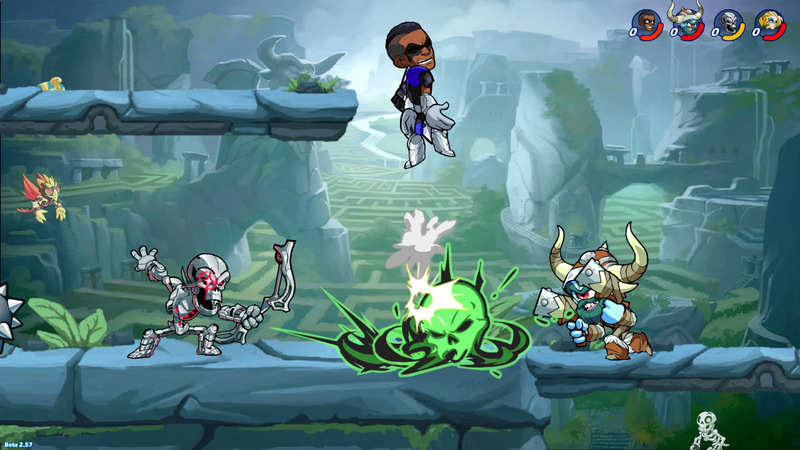 Developed and published by Blue Mammoth Games, and recently acquired by Ubisoft, Brawlhalla is a free-to-play fighter. The team vowed the game would continue to get support after its release, and it continually lives up to that promise. Now everyone’s favorite limbless platformer, Rayman, is joining the fight on November 6, 2018, as stated by their official Twitter account. This announcement marks the game’s first cross-over fighter. Previously, Brawlhalla consisted only of original heroes known as “Legends,” featuring a wide variety of weapons and outfits. There are over 40 Legends to choose from, and you can play offline or online; competitive or casual. With Rayman in the mix, some fans are wondering what weapons and outfits he might use and wear. We’ve seen Rayman take on a wide range of looks in Rayman Legends and his fists have transformed via power-ups throughout the series, so hopefully some of those elements come to the game. With Rayman joining the brawl, suddenly the door seems open for other characters to head to this free fighter. It’s a trend that gives these small fighting games a bit more personality and helps draw in outsiders by using characters they’re invested in. Who would you like to see in Brawlhalla next? Let us know in the comments below.